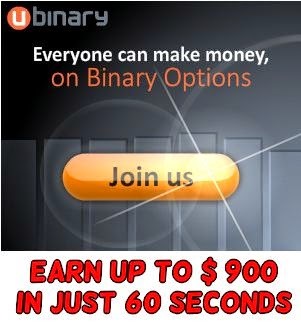 It has been proven by thousands or even millions of people around the world that you can really make money (online) using the Internet if you’re only determined to make it happen. It is through our determination perseverance, and initiative efforts that makes our dreams come true. There are lots of opportunities you can dig around the Internet if you only know how it works and what kind of techniques and strategies to be applied to make it happen. While there are thousands of ways to make money online, still, there are numerous of individuals who doesn’t believe in it. There are few bloggers, writers, and website owners who don’t totally believe that a person can really make money online, unless that person is running an online business.Note, that the only person who disagree about making money online is the person whose not making money online at all. A lot of people spend most of their time online to find ways on how they can make money online without even realizing that they should stop their non-stop search, because now is the best time to make money online. Below are the TOP 20 LEGIT WAYS TO MAKE MONEY ONLINE. 1. BLOGGING – There are millions of people around the world who have been making money from their blogs, or not even just millions but billions of these individuals who’ve been making thousands of bucks from their blog. But maybe, the question that would come up first into the minds of all beginners would be that, “How can I make money from my blog, and how can i start blogging? or where should I start to blog? what kind of platform should i use?” Well there’s a lot of sites that provides such information you’ve been looking for, but since you’re here, reading this article then let me provide some specific information on how you can make money from your blog. Creating a blog is very easy, you can simply chose what kind of platform you’re going to use, it’s either Blogger or WordPress. Monetizing your blog – the word ‘monetize’ means ‘To coin into money’, monetizing your blog is the only way you can start making money from it. Placing ads from Google Adsense – Adsense offers you the best way to monetize your blog, but take note that Google Adsense have a strict policies, you have to be at least 18 years old and have verified Google Account to sign in into Adsense which means you cannot use any Alias name, using your real name is required to have a verified Google Account. Signing up into Google Adsense only takes few minutes, but it may take time for Google Adsense Team to approve your account. Adsense approval and disapproval will always depend on your blog content, and the traffic that you’re getting everyday and it can be depending on the age of your blog as well. If you have the high quality content, and enough minimum traffic from your blog, then you have 100% chance of getting approve by Adsense Team. Placing Ads from Chitika – Chitika is an Online Advertising Network Company that allows both Publishers and Advertisers get beneficial revenue they deserves. It is easier for the new bloggers to monetize their blog and make money from it through Chitika. It isn’t hard to create Chitika Account, it even takes few minutes to sign up, their policies isn’t really as strict as Google Adsense. You can monetize your blog by placing ads from Chitika. Placing Ads from Clicksor – Clicksor is an online contextual advertising network company that allows publishers to monetize their blog and websites by placing Clicksor ads directly to their websites/blog. Of course you have create Clicksor account first to get started. Placing Ads from BidVertiser – Monetizing your website/blog with BidVertiser is very easy, it doesn’t have any restriction for you to sign up and create an account from their website. You can even start monetizing your website/blog now, even if you doesn’t have minimum traffic on your blog yet. Placing Ads from Direct Advertisers and Sponsors – accepting direct ads and sponsors could be the most fulfilling and satisfying revenue you will benefit from your blog. However, you have to become a famous blogger first to attract advertisers and sponsors to advertise to your website/blog. You must have good website/blog traffic too so that Direct Advertisers and sponsor would be more interested in advertising their own website or blog, to your website. Selling Products (online) – If you’re into blogging world and you’re good at convincing people to buy the products you are selling then this field is right for you. Though it would take time for you to sell your products, unless your product is one of the basic needs of the people using the Internet. There are lots of ways you can sell products, but you don’t have to tell a lie just to get people’s attention and make them buy your crap just like what other blogger do. If you think you cannot sell your products you’re selling then try something new, sell something new, something that would people get interested in. 2. TAKING PAID SURVEYS – There are hundreds of companies (online) that offer this kind of opportunity, where all you have to is to complete the tasks or the survey that the company give you. Work today and get paid tomorrow. Your earning will depend on how many tasks and survey you’re going to take and by how much time you’re willing to invest in it. While this kind of opportunity doesn’t require you to invest any dime to get started, still, you must be willing to invest your time to complete surveys. because such surveys offered by the companies (online) isn’t just a simple task you can trash whenever you want. 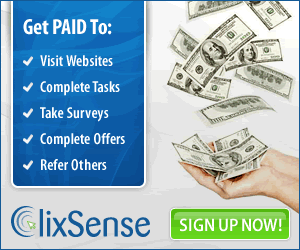 It is very important for an individual to give an honest answer to enable to complete surveys and make money from it. 3.PAID TO CLICK (PTC) – One of the most easiest way to make money online without spending a dime is doing PTC projects. There are lots of trusted sites that offers PTC projects such as Clixsense, Neobox and many other PTC companies that you can choose from. PTC has always been the most common ways of making money online, you can do it without owning a website or a blog. But however, if you want to increase your earnings in any PTC sites then you can start setting up a blog and promoting it so you’ll get more referrals. You can simply upgrade your PTC accounts as well if you really want to make more money from it. Mechanical Turk is a market place for work that is owned by Amazon. The company offers thousands of tasks and work to every individuals who wants to make money online from home. There’s almost 331,775 HITs available on Mechanical Turk (as of 2013), so if you’re up in completing Human Intelligence Tasks then you can choose the one that you like. The step you’re going to take is to search for the HITs that you’d like to work on with, there are thousand of HITs you can choose from, and you can work on completing HITs as many as you can to sum up your earnings. All HITs have its own expiration date, so you better complete the tasks before it the HITs expire. Once you’re completely done with the tasks you have taken, you have to submit it to the requester and after the requester approves your work, your earnings will be automatically deposited into your Amazon Payments account. 5. WORDPRESS DEVELOPER – You can simply do this kind of job without owning a website or a having a blog. If you’re good at developing a website, then this field is the right spot for you. WordPress developer usually fix the css file on the accordion product selector form so the dropdowns are stylized. Ensure the form works/fix fields, some don’t collect data, making sure that the products names listed are in order and that all of the products are listed. And last but not the least is checking products if it’s linked with a pdf. 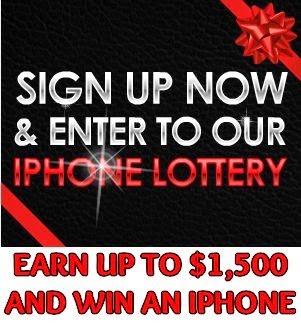 Your earning will depend on how many hours you will work for it, since they have an hourly rate of $1 to $3 dollars. So instead of making a blog and wait for months to be able to make money from it, you can simply become a WordPress developer and make money online while staying at home. 6. WEB RESEARCH AND DATA ENTRY – In order for you to get in this field, you must have data entry skills who’d be able to compile and manage ongoing research. A web researchers usually conduct extensive web search to gather information. Enter data into excel and able to utilize the Internet to fill as much information as possible. Categorizing contact or product entries into different categories and take screenshots and documenting original sources. 8. MANAGING A WEBSITE – You need to be an Internet Marketer in order for you to manage general website duties and content and editing resale products and posting them on the specific website. Being a website manager isn’t that stressful as any other online job, as long as you’re into Internet Marketing, then surely you will make money from it. 9. PHOTO EDITING – If you have skills in photo editing then there are so many ways you can make money online. There are tons of websites around the Internet who are hiring for someone who can do all kinds of photo editing from simple into magical type of photo editing. It doesn’t require any higher educational background, as long as you’re well-experienced in it. I require quiet and it is incredibly tough dwelling in a town apartment intricate. The pill then well converts the crafting into digital text. Then you have to submit your website/blog URL to Google and Bing, after submitting the URL submit a SiteMap for your website.blog so it would be easy for search engines to find your articles and have it appear on search engines when people searching for any related topic as yours. alexa toolbar?? how will it help?? I don’t comment, but after looking at a few of the responses on this page TOP 20 LEGIT WAYS TO MAKE MONEY ONLINE | MAKE MONEY ONLINE. I do have 2 questions for you if you do not mind. Could it be simply me or does it look like a few of these remarks come across like they are left by brain dead people? 😛 And, if you are posting on other places, I would like to keep up with anything new you have to post. Would you post a list of all of all your shared pages like your linkedin profile, Facebook page or twitter feed?